“Mother,” she hissed, but her mother didn’t hear. The shadowy figure set out across the terrace and down to the lawn below, heading across the grounds. Betony’s breath caught in her throat. Her mother was going into the Dark Forest of Nevermore. She was leaving. Princess Betony adores the queen, her mother, and knows that her mother loves her, too. But her mother is a dryad, a tree spirit, and misses the Dark Forest. And with the Lord Chancellor, the King’s chief advisor, making life very difficult for the queen, Betony is worried she will lose her to the forest. So, when she sees her mother disappear into the trees in the middle of the night, Betony follows her, even though she knows it is dangerous. She will do whatever it takes to get her mother back – even catch a unicorn. Princess Betony and the Unicorn is the first of four adventures featuring the adventurous, feisty but loyal Princess Betony. First published in 2012, its has been re-released along with the other three titles. Each features a magical adventure and is beautifully illustrated with grey scale illustrations on each spread, and charming cover designs. Suitable for young fantasy lovers and those new to the genre, these are gorgeous books which will be treasured. Prince Victor is not very bright and not very happy. His mother, the queen, is sending him on a quest. Fortunately he has a smart horse, Quince, and is armed with some potions made by his friend Marigold. Victor and Quince venture bravely into the Dark Forest of Nevermore, where there is plenty of trouble afoot, and where somebody needs help. Victor’s Quest is a delightful fantasy book for younger readers. First published in 1996, it has been republished by Walker Books Australia, and is likely to appeal to young readers as much now as it did twelve years ago. As well as adventure, humour and appealing characters, the story is brought to life in grey scale illustrations by Kim Gamble. A wonderful offering for primary aged readers. When the residents of Tiger Beach Village claim to be visited by a ghost Jake, Peter and Ruby decide on a stake-out to see if they can catch the ghoul. Their surprise to find that the ‘ghost’ is definitely not dead soon turns to determination to figure out who it is and what they want. Hair of the Skeleton is the first in the new Network Mysteries series by Pamela Freeman. The young sleuths solve the mysteries they encounter with high technology – robots, biosensors and digital cameras. With the use of this technology, the stories will appeal to most youngsters, especially gadget-lovers and mystery enthusiasts. A high-tech, fast paced mystery with a touch of humour. Katie and her brother Sam are both shipborn – born in space aboard their parents’ space ship. Katie longs to visit Earth. She wants to see the soil, watch plants growing in their natural environment. Sam isn’t so sure. He’s quite content living in space. Katie’s parents say they’re not taking them to Earth any time soon, so it appears Katie’s wish won’t be granted. Until her Gran decides to run away – abandoning the ship at a space station and seeking passage to Earth. Katie and Sam follow her to try to get her to come back to the ship and find themselves accidentally aboard a space ship headed for Earth. And this is no joy ride – the ship is destined for an illegal rendezvous with smugglers. Will they ever get to see Earth? At this point that’s not their biggest worry – they may have to fight just to stay alive. 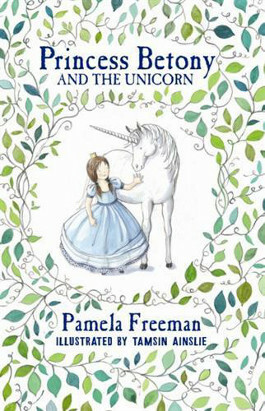 Shipborn, by Pamela Freeman is a Blue Tadpole novel from Koala Books. Its fast pace, humour and space setting will appeal to 10 to 12 year old readers. Pamela Freeman is a talented Australian writer who lives in Melbourne with her husband and young child. Her previous work includes Victor’s Quest, shorlisted for the 1997 Children’s Book Council awards and Pole to Pole, also shortlisted. Her stories frequently appear in the NSW School Magazine.